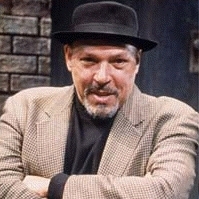 August Wilson (April 27, 1945 – October 2, 2005) was an American playwright whose work included a series of ten plays, The Pittsburgh Cycle, depicting the comic and tragic aspects of the African-American experience in the twentieth century. Wilson achieved seven New York Drama Critics’ Circle Awards for best play, and won the Pulitzer Prize for Drama for his plays Fences (1985) and The Piano Lesson (1987). August Wilson held Guggenheim and Rockefeller fellowships and, shortly after his death, the Virginia Theater on Broadway was renamed in his honor. In 2016, Fences was adapted for the big screen starring Denzel Washington and Viola Davis, and the August Wilson Center for African American Culture opened in Pittsburgh in 2009.